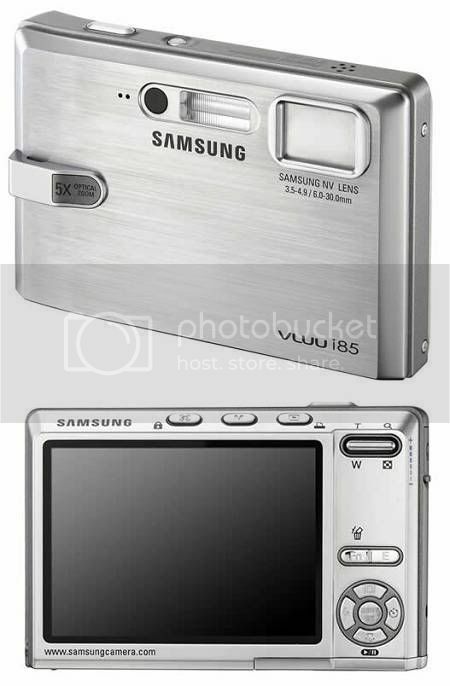 You just got to have the new 8.1 mega pixel Samsung i85 digital camera if you’re a traveler who loves gadgets, just like me, because of its intelligent multimedia features. It has an integrated PMP (Portable Multimedia Player) and MP3 player and is equipped with a 3-inch touch screen LCD monitor. Samsung’s Intelligent Face Recognition Technology is also featured in the i85. It detects or spots the subject’s face. It also automatically adjusts the auto exposure and auto focus option to guarantee image quality and better composition in portraits. Before the AE function takes over, the AF function immediately recognises the subject’s face and precisely focuses on you to make sure that you get the highest image quality.Although it has no optical viewfinder because of the large LCD monitor with 230,000 pixel resolution, it is still very functional and suitable for travel. You can access travel information because of the built-in Tour Guide function of the camera. You can also download such information from the Internet. The i85 is packed with 173MB internal memory for document storage, ISO high sensitivity support, and the Advanced Shake Reduction or ASR system so even without a flash, the images or photos remain detailed and crisp. The stunning Samsung i85 has a total of 256MB internal storage and is priced at £174. Hi! I am a self-confessed geek with an insatiable appetite for gadgets and travel. Currently I own a MacBook Pro, 30GB iPod video and a big credit card balance.